For thousands of years, people have undertaken journeys of faith, usually to shrines or other places of significance in their religious tradition. Pilgrims’ motivations are as varied as the number of pilgrims themselves. Since the middle ages, one of the most well-known–and popular–Christian pilgrimages has been the Camino de Santiago (the “Way of Saint James”). 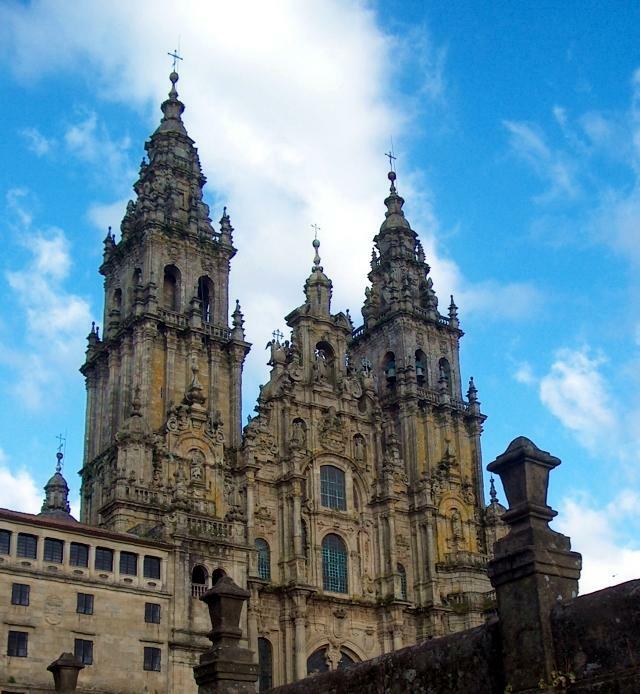 The journey ends at the Cathedral of Santiago de Compostela which tradition holds to be the final resting place of the body of Saint James the Apostle. While some begin their pilgrimage from various places throughout Europe, the most popular route, and Ghassan’s route, begins just over the French border in the Pyrenees mountains and continues for approximately 800 km across northern Spain. Join the group of supporters to walk the last 100 km of the Camino with Ghassan. Transportation arrangements have been made for those who will be walking the Camino, as well as non-walkers for this tour. You can join Ghassan for days of your choosing: May 15-June 19, 2018. Individuals who wish to join Ghassan’s self-guided walk from May 15 – June 19 are welcome to join him. Please consult Ghassan’s Itinerary to make your own arrangements. Feel free to contact Camino Ways for housing options.